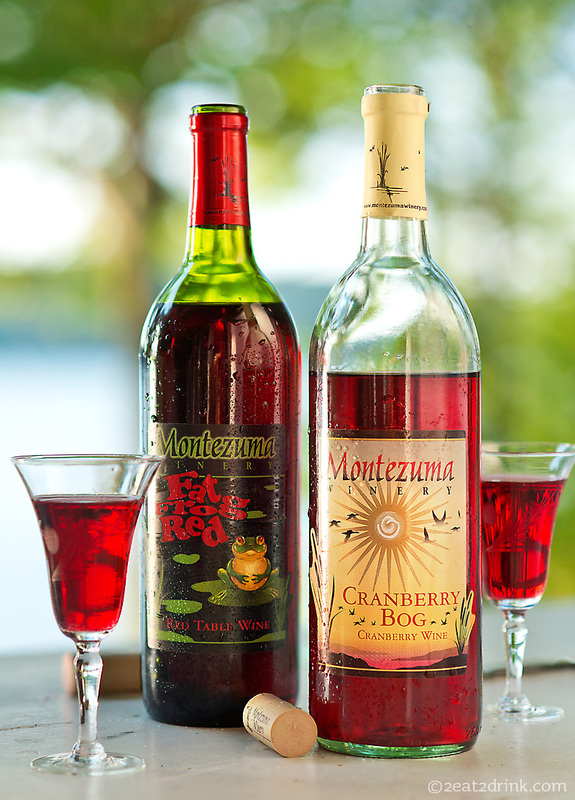 We recently had the chance to sample two of Montezuma Winery’s reds. I’m not usually a sweet wine kind of guy, but these were perfect to have chilled on a warm day at the lake. The Fat Frog Red was the sweeter of the two, and Heather quite liked it. In fact, when I asked her what she thought it would pair with, she said that sweet wine goes with anything! Even though the Frog was a hit, we both actually preferred the Cranberry Bog. This wine was sweet yet tart, almost like a cranberry vodka cocktail. We thought it would be a great addition to Thanksgiving dinner. It would also make a great autumnal sangria, and I believe we will give that a try soon! Both wines were nice to enjoy on the cottage porch while taking in the sunset over Keuka Lake. Cheers!